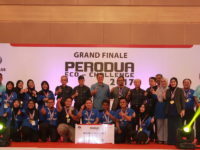 Local car maker Perodua is building on their successes with the recent launch of their Aruz to complement their workhorse Myvi which has become a Malaysian mainstay for many years. In 2018, Perodua recorded their best ever sales performance with 227,243 units sold across multiple vehicle lines. This time around, Perodua aims to chart an even better record with 4% better sales performance for 2019 to the tune of 231,000 units. According to Perodua, the Myvi remains their best selling model with 82,122 registered in 2018 alone and 117,844 booked in the same year alone. The Axis, Bezza and Alza each remain at the top of their respective segments with 70,821, 49,911 and 24,389 cars sold respectively in 2018; a very respectable number by any measure. 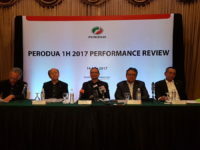 In terms of vehicles produced, Perodua stated that over 219,000 vehicles have rolled out of their Perodua Manufacturing Sdn Bhd and Perodua Global manufacturing Sdn Bhd plants combined in 2018. For 2019, they aim to better this figure by 10.5% to 242,000 vehicles. 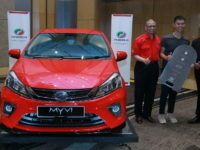 “Perodua’s aim to boost its sales by 4% this year will not only strengthen the brand but offer some relief to the Malaysian car industry, which is forecast to grow very minimally this year,” said Perodua President and Chief Executive Officer Dato’ Zainal Abidin Ahmad who spoke at a Chinese New Year luncheon.